Eid al-Adha, also known as the "Festival of Sacrifice", is one of the two Muslim holidays which are celebrated worldwide annually. The celebration honoors Ibrahim's will to sacrifice his son to God before Jibra'il or Gabriel's intervention. In commemoration of Ibrahim's offering, animals are sacrificed during the holiday. 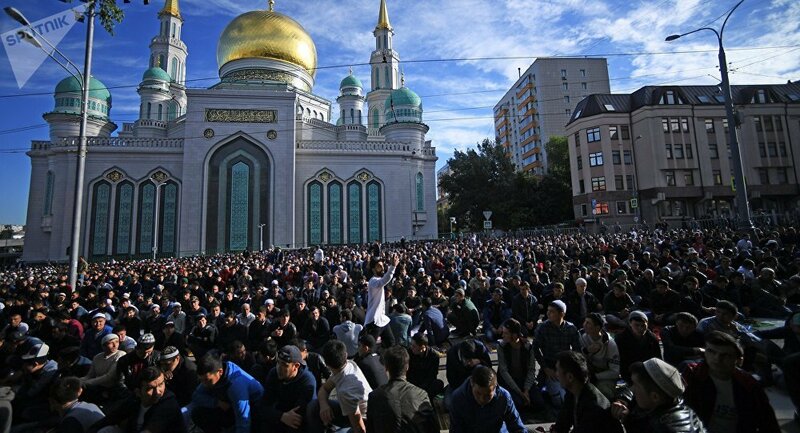 Thousands of Russian Muslims are gathering in front of Moscow’s Cathedral Mosque on Tuesday, August 21, in order to celebrate Eid al-Adha. Опубликовано Sputnik Понедельник, 20 августа 2018 г. The Moscow mosque, formerly known as the Moscow Central Mosque, was leveled in 2012 and was rebuilt to accommodate 10,000 people. Muslims make up roughly 14 percent of Russia's population.